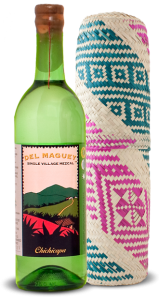 Del Maguey Iberia ($200) – salty and sweet with anise, meat, apple, grapefruit, nectarine and grass… excellent! Pierde Almas Joven Tequilana Weber (Lote 02TW-SJR, 51.6%, $68) – green pepper, white pepper, guava, agave syrup, straw with a good mouthfeel… this is a really solid mezcal! Pierde Almas Pechuga (Lote 02-P, 50.1%, $120) – coconut and meat with a nice oily texture and notes of grass and grilled pineapple… excellent! 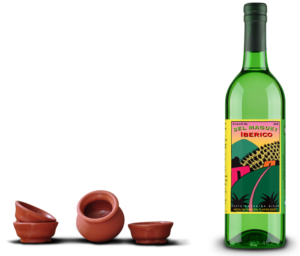 My winner for the night was the Del Maguey Iberico (~$200) with Pierde Almas Mezcal de Pechuga (~$120) as the runner-up. Both of these are a pechuga-style mescal – using ham for Ibérico and the traditional chicken breast for Mezcal de Pechuga. I really like the contrast of meat and fruit against the smoky agave base. Honorable mention goes to another offering from Pierde Almas, Tequilana – a discontinued offering that is still available for about $60 (I found this bottle for $6 on a clearance rack!). Posted in Mezcal. Tagged Del Maguey, Marca Negra, Mezcal, Mezcal Vago, Pierde Almas, Wahaka. From the first whiff, this smells like whiskey, then you start smelling the vegetal agave. The smells are caramel, mild smoke, grass, barley, green pepper, black pepper, bamboo, cedar, turpentine, white grape and sandalwood. The taste is very green, smoky and hot. The flavors are vegetal and spicy… green pepper, ginger, black pepper, white pepper, dry grapefruit, cedar and oak. Of course, there’s the smokey flavor as well. This is some great stuff! Much more interesting than any tequila that I’ve tasted. I highly recommend it, even at close to $70. Posted in Mezcal. Tagged Del Maguey, Mezcal.